Today I had a chance to sit down with Nadezda Agapova, one of our 8 Ambassadors for the Berlin Yoga Conference 2019 edition. We met for the first time not so long ago after Nadezda first came across the project. She contacted me and offered her compliments and help, and after our meeting her in person, I felt right away that there was a good chemistry and a lot of similarities in our backgrounds, views on the world, and even lifestyles. Also a serious, but down-to-earth yogi, she is a nature lover, a mother, and a kind soul. 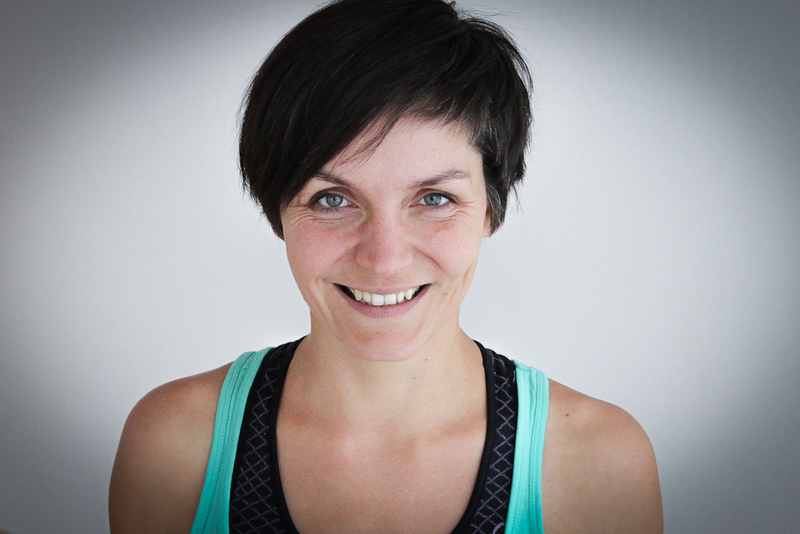 Nadezda Agapova is a yoga teacher based in Berlin, the founder of Yoagna yoga studio in Duisburg, and the creator of YogaCycling – yoga on the bicycle. She leads yoga retreats to the world’s largest lake Baikal in Russia. Her background is in the classical Hatha yoga. When practicing and teaching yoga, Nadezda uses the physiological reflexes of the body to intensify the experience, without over-stressing and over-stretching the muscles and the joints. She also applies mild breath retentions to achieve meditative states naturally. The main idea behind the yoga practice for Nadezda is about raising the awareness in everyday life. She continuously studies the mind and consciousness by means of regular practice of Tibetan buddhism. Q: Tell us about your Yoga Background: how long have you practiced yoga, why did you start with it, why did you decide to teach it, and how long have you been teaching and running your own yoga studio? A: I started practicing yoga in 1999, it was a natural decision. I was inspired by yoga philosophy and buddhism. Actually, I never intended to teach yoga. In 2006 one friend asked me to practice yoga with her. She brought her friends to our trainings. We practiced for some months for free. More and more people asked me to teach them yoga. As a result, I did a yoga teacher training and started to give yoga classes. I opened up my own yoga studio “Yoagna Yoga” in the beginning of 2017. Q: Which yoga method do you teach in and why do you prefer this method over others? A: I love that yoga affects both the body and the mind. Traditional Hatha yoga does it a lot through breath retentions and the use of bandhas on the different parts of the body. Modern physiology teaches us as well, how one can influence our nervous system through working the body and practice safely without over-stretching and over-tensing the muscles and the joints. Yantra Yoga, the Tibetan yoga, is a method that brings a practitioner in the state of clarity and inner calmness. So I use all of these techniques. My teachers are Reinhard Gammenthaler, Simon Borg Olivier, Namkha Norbu and many other wonderful teachers, mostly from the Eastern Europe. Q: What is the most challenging aspect of running a yoga studio and what do you especially like about creating a yoga space for others? A: The biggest challenge is that I have to think about all the little details that don’t deal with yoga directly, like this whole organization around the yoga classes, administrational work, engaging and motivating my team, etc. I really like to work with people who want to learn about and practice yoga. This is why I offer a safe and fun space to practice yoga and I like to be able to offer my own vision about how to do it to the maximum benefit of my students, in accordance with their personal wishes and goals for the practice. I am so grateful that I can share this practice with people through high quality yoga classes that really can help them. Q: Tell us about your YogaCycling in Berlin? A: My business partner and I created YogaCycling in 2015. YogaCycling is a system of exercises inspired by yoga that you can do while riding the bike. The main point in yoga is to develop awareness through working with the body and the mind. This can be done everywhere, so also on the bike. YogaCycling trains your body and awareness while riding the bicycle and makes you feel good afterwards. Q: In July, you have a Yoga Trip planned to the world’s largest lake Baikal in Russia. Why did you chose this place over others? What makes it special? A: The Baikal lake is the oldest lake on the planet, the deepest and the biggest one. It is as long as Germany from West to East! Around the lake there are thousands kilometers of Taiga woods. Pure nature and nothing else. These all create very special energy. Spontaneously you get more calm, slowed down, and start to see what is really important for you. Yoga practice twice a day brings additional intensity in this process. Nearly all the participants claimed that their life has been changed unexpectedly and in a positive way after the Baikal trip. Q: On top of everything you do work-wise, you are also a mom of a lovely 1-year old. Do you feel like yoga helps you to be a better mom? A: Being a mom of a little one and working at the same time is very challenging. Now I need yoga more then ever to feel balanced. I am very happy to have this knowledge of how to make myself feel good and come in a contact with myself, which as a result helps to provide a less stressful environment for my family. Q: Why did you decide to become Berlin Yoga Conference Ambassador? What aspect of the project spoke to you deeply and why? A: Berlin Yoga Conference came directly into my heart. Lots of values are the same: honoring the tradition and learning from the modern science, practicing the physical yoga and aiming for the more subtle aspect. I also love the idea of having lectures, not only workshops. This conference has the potential to create more impact and exchange, to educate and inspire. I’m looking forward to it next year and happy to get a first taste of it on the pop-up events that will happen in the next months.